How ICT MNCs’ Organize Their Channel Management Programs: The Case of HP Taiwan Information Technology Ltd. Through about thirty years’ efforts, Taiwanese ICT brands have established decent positions in world markets. However, due to problems associated with channel management, several noted Taiwanese ICT companies have encountered set-back in last decade. Brand-pull and channel-push strategies are the left- and right-hand for market development and this study focused on the later. 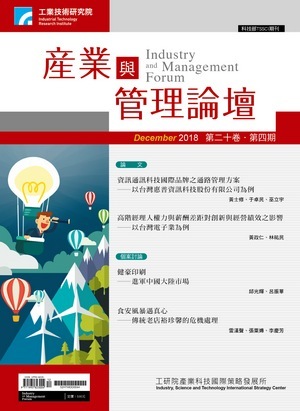 Through integrating the various channel management programs of HP Taiwan Information Technology Ltd., a leading MNC in the ICT industry, this study derives a matrix composed of eight categories of programs and four types of purposes. This matrix, termed the tool-set of channel management programs can assist Taiwanese ICT companies to organize their channel programs as well to manage their channel partners abroad. In addition, the matrix also serves as a bridge between channel management practices and theories for researchers.